Ole Gunnar Solskjaer is confident Paul Pogba will be fit for Manchester United's trip to Tottenham in the Premier League on Sunday. 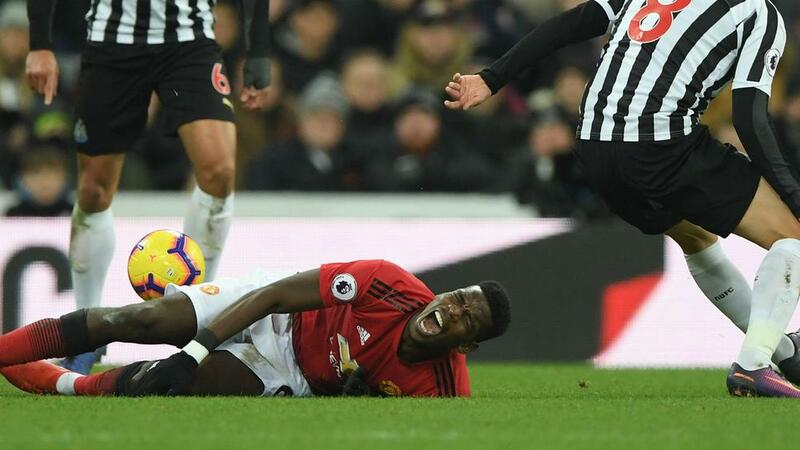 Paul Pogba should be ready to return to full training this week, according to Manchester United caretaker manager Ole Gunnar Solskjaer. France midfielder Pogba has been in sensational form since Solskjaer succeeded Jose Mourinho in the Old Trafford hot seat, scoring four goals and supplying three assists in four Premier League games. In the latest one of those, however, he was on the receiving end of a rash tackle from Newcastle United midfielder Jonjo Shelvey and missed Saturday's 2-0 FA Cup win over Reading. United are undertaking a warm-weather training break in Dubai this week, with Pogba joining the squad late after undergoing treatment back in Manchester. However, with a tough test to come against Tottenham at Wembley on Sunday, Solskjaer offered updates on two squad members – Marcos Rojo and Fred – who are not with the group. "Marcos has gone back home because his injury is taking a bit longer than we thought," he told United's official website. "Fred's partner is expecting a baby and Paul Pogba has had his knock and has had a few days of treatment back home. North London opponents are set to occupy much of Solskjaer's thoughts for the rest of this month after Monday's FA Cup fourth-round draw handed his side a trip to Arsenal. "It's fantastic. We need these games. These players need the big games to be challenged," he told MUTV. "Of course, everyone says we've won the last five games but [they have] not been [against] big opposition. But you can only beat the teams you play and, for us to get tested and go to the next level, you need those games. "And if you want to win the FA Cup, you have to beat everybody." United and Arsenal drew 2-2 at Old Trafford in the Premier League at the start of last month, with the Gunners leading twice through Shkodran Mustafi and a Rojo own-goal, only for Anthony Martial and Jesse Lingard to find swift responses on each occasion.